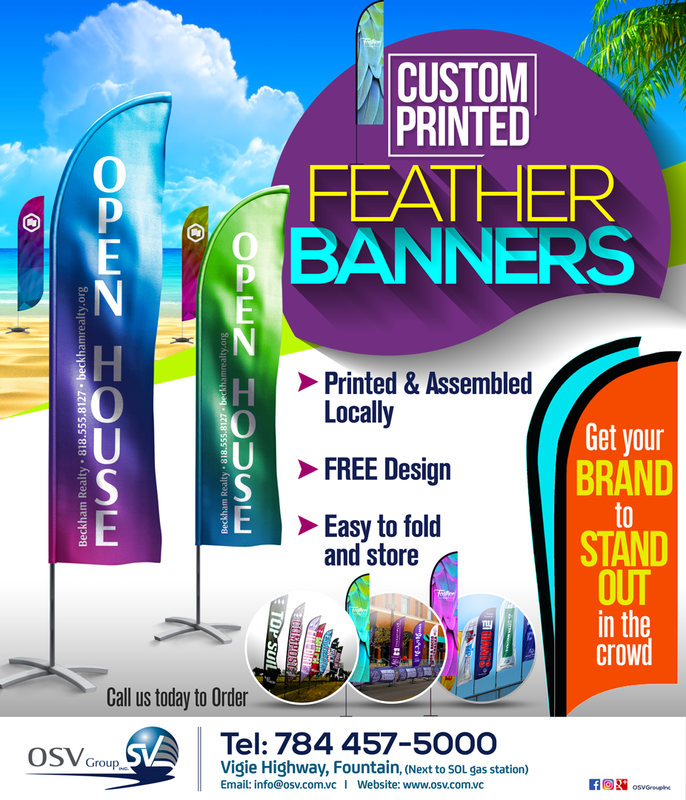 Custom Printed Feather Banners are now Available at OSV Group Inc.
We are now printing and assembling feather banners locally which enables us to produce them much faster for your convenience. Not only does this improve completion time but you can now have your design done for FREE by one of our top designers. These feather banners are also easy to fold and store making them readily reusable.